Aflac Insurance | Joe DiCesare Insurance Agency, Inc.
Why Aflac? Get the Aflacts®. AFLAC IS DIFFERENT FROM HEALTH INSURANCE; IT’S INSURANCE FOR DAILY LIVING. Major medical pays for doctors, hospitals, and prescriptions. Aflac pays cash directly to you, unless otherwise assigned, to help with daily expenses due to an illness or accident. When you’re sick or hurt, Aflac pays cash benefits directly to you to help you and your family with unexpected expenses. The benefits are predetermined and paid regardless of any other insurance you have. You can use your Aflac benefits check to help pay for groceries, child care, or rent. It’s totally up to you. AFLAC BENEFITS HELP WITH UNEXPECTED EXPENSES. Your Aflac benefits check helps you pay for the many out-of-pocket expenses you incur when you are sick or hurt—like the cost of transportation to and from medical facilities, parking, and additional child-care expenses. When you have an Aflac policy—it’s yours. You own it. Even if you change jobs or retire, you can take your Aflac policy with you. We have a range of products that can fit most budgets. Aflac can help provide you and your family with coverage and security to help maintain your everyday lifestyle in case of illness or injury. And, Aflac rates don’t go up even when you file a claim. AFLAC PROCESSES CLAIMS QUICKLY—USUALLY WITHIN 4 DAYS. Aflac provides prompt service and fast payment of qualifying claims to help you pay your bills. While you’re focusing on your health, we focus on getting you cash as quickly as possible. 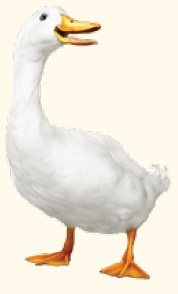 AFLAC CLAIMS ARE EASY TO FILE. When you’re sick or hurt, the last thing you need is a complicated form to fill out. 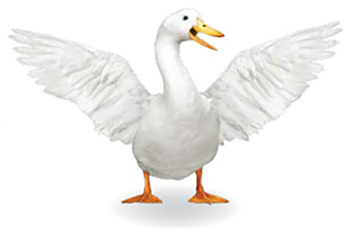 Aflac benefits are easy to understand, and our forms are easy to complete. AFLAC PAYS YOU CASH BENEFITS EVEN WHEN YOU’RE HEALTHY. We want you to be healthy—that’s why several of our policies promote preventive care. Because Aflac is accountable to our customers, employees and shareholders, our worldwide headquarters has been named to Ethisphere’s list of World’s Most Ethical Companies five years in a row, FORTUNE’s list of 100 Best Companies to Work For for 13 consecutive years, and FORTUNE’s list of World’s Most Admired Companies 10 times. Individual coverage underwritten by American Family Life Assurance Company of Columbus. Group coverage is underwritten by Continental American Insurance Company (CAIC), a wholly-owned subsidiary of Afl ac Incorporated. CAIC is not licensed to solicit business in New York, Guam, Puerto Rico, or the Virgin Islands. For groups sitused in California, group coverage is underwritten by Continental American Life Insurance Company. For individual coverage in New York or coverage for groups sitused in New York, coverage is underwritten by American Family Life Assurance Company of New York.